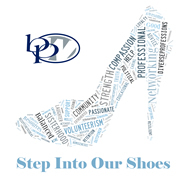 Membership in BPW is open to all women and men who share our mission. Annual dues are $120 per year, which includes membership in BPW/Florida and BPW/FL Education Foundation. A one-time fee of $20 applies to new members. If you wish to pay by check, download and complete the Membership application. Please know that all information that you supply is confidential and your privacy is very important to us. Please print clearly and be as complete as possible. The e-mail address you supply will be the one that we, as well as BPW/FL, will use to communicate with you. If your employer has heavy spam filters, please be aware that most of our communications originate from MailChimp and may end up in your spam folder. If you wish to pay by credit card, please complete the form below. The next section is for demographic purposes only. America was founded on the principal of equality for all and derives its strength from individuals working together for a common good. This public policy platform is BPW/Florida’s blueprint for our work in respect, justice, and equality for working women. Women should have the opportunity to be well educated, healthy, economically strong, secure, and their families should be able to live and work in communities that are environmentally clean. This public policy platform represents a vision based on supporting and defending American values as they specifically relate to working women’s hopes and dreams for the future. We will work with elected officials and activists to achieve this vision in government and in our communities. BPW/FL supports legislation which assists women in obtaining pay equity and equal employment opportunities; promotes opportunities for women-owned business; encourages women-owned business to compete at the local, state and federal governmental levels; promotes affordable, quality dependent care to help ensure economic self-sufficiency for women; and, supports social security reform options that benefit women. BPW supports legislation that creates a safe workplace; a workplace free from violence, harassment and assault. We support legislative funding and education that will ensure workplaces are free from all forms of violence, harassment and assault.